Have the likely future needs and aspirations of the community been adequately considered? For example, changing demographics, aging in place, cultural mix, technological change and socio-economic conditions. Have partnerships been sought with community groups to program the use of public spaces? Will it deliver tangible community benefits and better amenity? For example, quality open space, childcare and accessible public transport. Has the community been encouraged, from the outset, to participate in developing and realising the vision? For example, through social media, public focus groups, meetings and workshops, in order to understand community aspirations and concerns, and to encourage public participation in the design process. Are the people engaged in the consultation process representative of the diversity of groups within the community? Have community concerns, aspirations and needs been clearly understood and considered, and has this influenced the decision making? Is there a shared vision, and a collaborative approach, between all stakeholders? Have all stakeholders been kept informed throughout the planning and design process? Has the planning and consultation process been transparent and accountable to all involved? Have all stakeholders and contributors been treated with respect? A report providing a set of tools for councils, the private sector and the Victorian Government who are implementing policy and structure plan initiatives to improve activity centres and attract investment for development (Victorian Department of Planning and Community Development, 2010). An interactive electronic clearing house for everyone involved in community level social, economic and environmental renewal (NSW Government). A kit providing information and resources for planning the community engagement component of a project (Victorian Department of Sustainability and Environment, 2005). A report providing guidance to councils on the activity centre structure planning process (Victorian Department of Planning and Community Development, 2010). A guide for transferring management of public spaces from local authorities to community groups (Commission for Architecture and the Built Environment (CABE), UK, 2010). The preeminent international organisation advancing the practice of public participation. 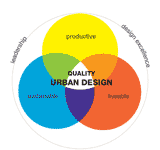 A guide outlining a new approach to large scale urban design (CABE, UK, 2011).